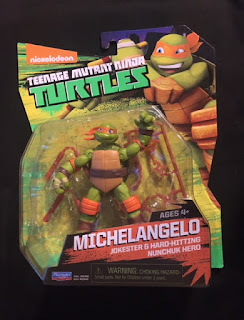 Today I'm reviewing the re release of Michelangelo from the popular Playmates toy line. Overall I have to say I'm pretty happy with him and this updated version. 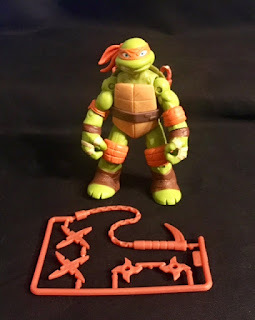 If you love TMNT or toys than continue reading!! As I said this is a redone version of the original Michelangelo release with the biggest change being the paint job. 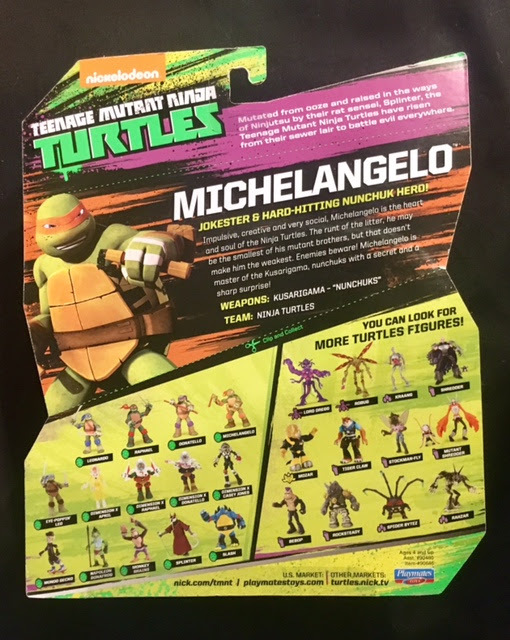 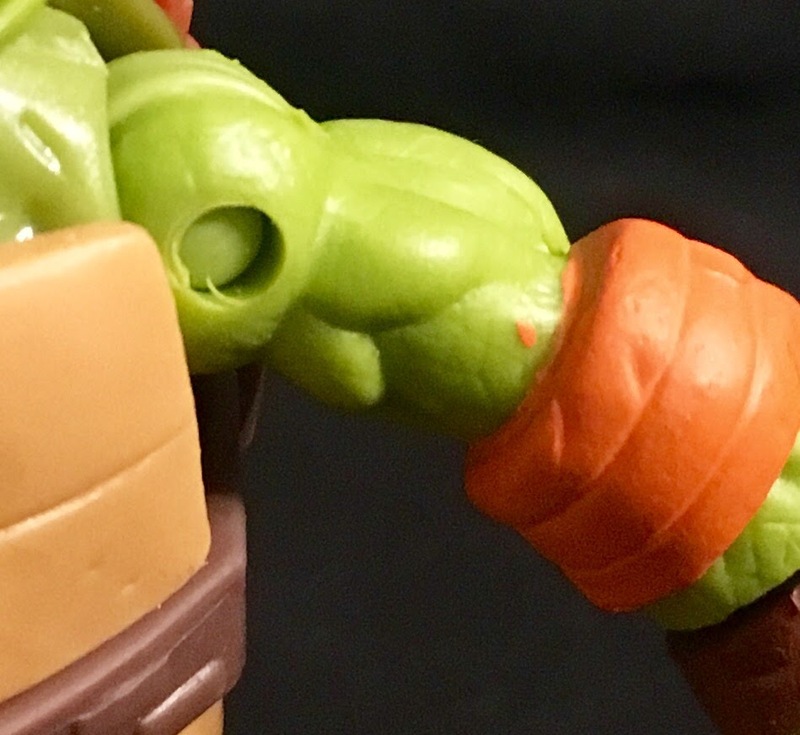 If you look at the picture below of the new Michelangelo and the original Donatello you can see that Mikey has orange elbow and knee pads. The other big change is that the new release has pupils painted on where the original guys just had the white pupil less eyes. 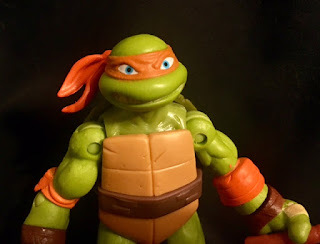 I'm honestly torn about the eyes. 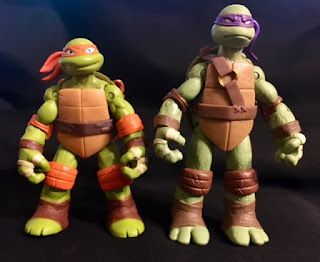 They do look good but I also liked the classic pupil less white eyes like from the original comic books. Michelangelo also comes with his pair of nunchucks as well as the same weapon sprue that the original 2012 figure came with. 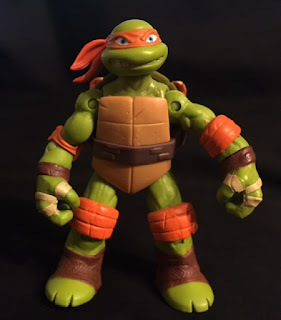 I've also seen on the internet that there is a version of this updated Mickey that is the same as my new one except that he has a black circle on his belt with an M on it like how the turtles looked in the 1987 cartoon. 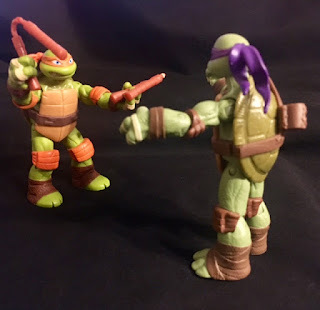 If I had my choice I would rather not have that so I'm happy. That's it for the changes as he has the same points of articulation and the same basic mold. 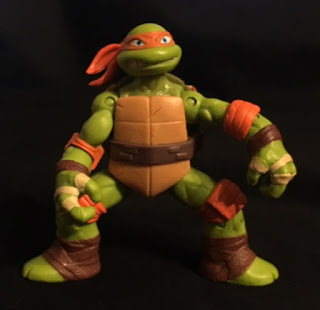 The only issue with this guy is that he has a couple of paint spots on his arm from where they painted his elbow pad but it's not bad and won't bother me at all. Overall this is a great update and I'll probably hunt down more of the turtles to go with Mikey.